 Maureen’s LLC is proud to be the Premier Cambria® Dealer for the Twin Ports area. Cambria, the leading producer of made-in-America natural stone is handcrafted from start to finish for the absolute highest quality, made of pure, natural quartz, one of the hardest and most durable minerals on Earth. 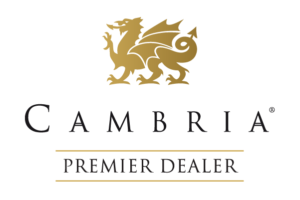 Cambria designs are 100% nonporous, scratch and stain resistant, and completely maintenance-free, never needing sealing, polishing or reconditioning – for a lifetime of beautiful design and function. A leader in design and innovation, Cambria offers over 145 designs to choose from with a wide range of color, tone and movement. The latest advancement, Cambria Matte™ offers a first-of-its-kind low-sheen finish with high-performance benefits, creating even more options for a marble aesthetic without the maintenance or worry, available in all designs. Cambria is responsibly mined with every quarry site fully restored after quartz extraction, and the company recycles 100% of its water used in manufacturing and fabrication, saving an estimated 1.6 billion gallons annually. Cambria is Declare certified, as well as certified NSF 51 safe for use as a food preparation surface and GREENGUARD for low VOC emissions. Headquartered in Le Sueur, Minnesota, Cambria’s 2,000+ employees are complemented by an exclusive network of premium, independent, specialty retail and trade partners who work with designers, architects and home professionals to turn design inspiration into reality. See the beauty of Cambria for yourself. Contact us to schedule a consultation or visit our showroom. For more information, visit cambriausa.com.